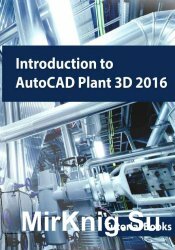 Introduction to AutoCAD Plant 3D 2016 is a learn-by-doing manual focused on the basics of AutoCAD Plant 3D. The book helps you to learn the process of creating projects in AutoCAD Plant 3D rather than learning individual tools and commands. It consists of sixteen tutorials, which help you to complete a project successfully.